Changes are afoot for ReSOURCE stores in Burlington. 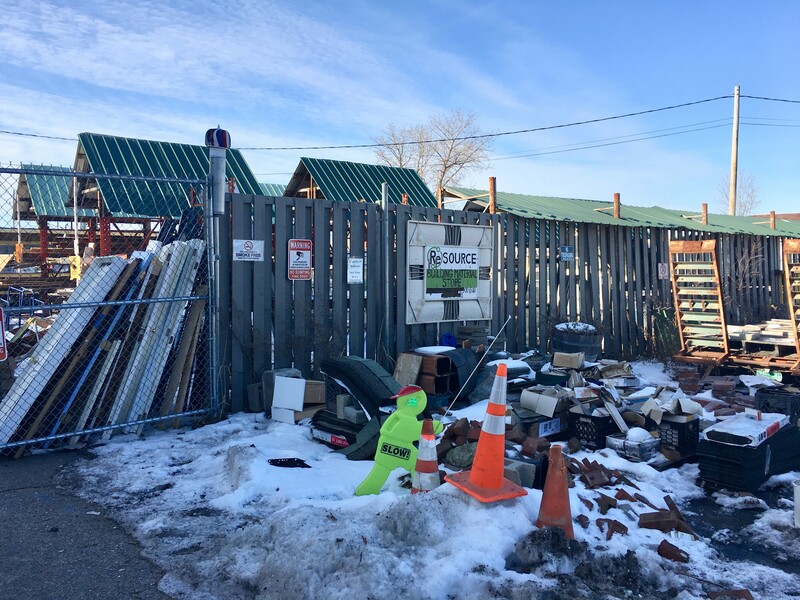 Last week, we reported that the ReSOURCE Household Goods store in the Soda Plant would be leaving at the end of February. But that news focused primarily on how the Soda Plant space would be transformed after the organization's departure: Owner Steve Conant will turn the 17,000-square-foot quarters into below-market-rate studios and spaces for creative entrepreneurs. So, where is ReSOURCE going? What's happening to the remaining building supply store at 339 Pine Street? And what are locals who rely on the low-cost home-furnishings venue to do? ReSOURCE executive director Tom Longstreth answers some of those questions. The new Williston location at 329 Harvest Lane is 36,506 square feet — a major upgrade. Longstreth expects it will open in early March. According to the announcement on the organization's website, it will house "its reuse store, administrative offices, workforce development programs, and appliance repair and computer departments under one roof." Longstreth says that's because it's not just the Soda Plant operations that are moving. ReSOURCE is also relocating an appliance-repair facility in South Burlington and a warehouse space to the new Harvest Lane site. Those locations aren't open to the general public. "What we're doing with this whole thing," Longstreth explains, "is taking six locations and consolidating down to four, which will all be public locations for drop-offs and retail, job training and poverty-relief services." And Burlington residents don't have to worry about home goods leaving the city. Currently, the 339 Pine Street location sells everything from chandeliers to doors and cabinets for folks looking to outfit their abode on the cheap. And when the store moves to Williston, the Pine Street location will shift to include household goods. "People who shop for household goods don't [always] have a car," Longstreth notes, "so we anticipate that the remaining site in Burlington will shift mostly to household goods." In fact, all ReSOURCE sites henceforth will incorporate building supplies and household goods, Longstreth says. "We're trying to make ourselves more efficient," he says. "Our hope with this move is that we can make all of our low-cost goods, both housing and building supplies, more accessible for donors and for shoppers across the whole county."